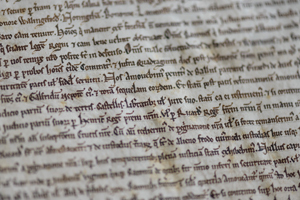 • The only four surviving copies of the original Magna Carta from 1215 will go on display together for the first time ever at the British Library in King’s Cross next February – and you have a chance to be among the 1,215 people to see them. In an event to mark the 800th year of the creation of the document, the library – which holds two copies of the document – along with Lincoln Cathedral and Salisbury Cathedral – each of which holds one copy – are holding a ballot with winners able to attend an event in which they’ll have the unique opportunity to see the documents side-by-side as well as be treated to a special introduction on its history and legacy by historian and TV presenter Dan Jones. The ballot to see the documents is open until 31st October with winners drawn at random. It’s free to enter – head to www.bl.uk/magna-carta to do so. The four documents will subsequently feature separately in displays at each of the three institutions. One not to miss! PICTURE: Salisbury Cathedral’s Magna Carta/Ash Mills. • The Silent Swoon Free Film Festival kicks off in St Martin’s Courtyard, Covent Garden, next week. The courtyard will be transformed into an open air movie theatre showing a different movie each night – The Talented Mr Ripley on 14th October, Crazy, Stupid, Love on 15th October and Rebel without a Cause on 16th October. Most of the free tickets will be allocated through an online draw but a small number will be allocated each night on a first come, first serve basis. For those with tickets, a range of freebies will be available on the night (including popcorn!). For more information, head to www.stmartinscourtyard.co.uk/silent-swoon-cinema-festival. • Crime writer and film noir pioneer Raymond Chandler has been remembered with the placement of an English Heritage blue plaque outside his childhood home in Upper Norwood, south east London. Chandler, who received global acclaim for his Philip Marlowe novels and his work on movies like The Blue Dahlia, lived at the home from 1901 after emigrating from the US with his mother, aunt and grandmother at the age of 12. He remained at the double-fronted red brick villa until 1908 – the same year he published his first poem, The Unknown Love. In his early Twenties, Chandler worked as a freelance reporter for London newspapers but, disillusioned with writing, returned to the US in 1912. He spent the next decade working for an oil company before the loss of his job in 1932 pushed him to restart writing. He first novel was published in 1939, and he went on to write further books and movie screenplays to ongoing renown. 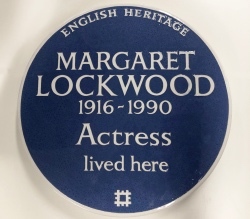 For more on the blue plaques scheme, see www.english-heritage.org.uk/discover/blue-plaques/. • Two early works of Rembrandt have gone on display at Kenwood House this month. Anna and the Blind Tobit and Jeremiah Lamenting the Destruction of Jerusalem, both of which date from around 1630, will be seen in the Hampstead landmark until May next year. The two paintings replace Rembrandt’s Portrait of the artist which usually hangs in Kenwood and is on show at the National Gallery and Rijksmuseum in Amsterdam (from where the two paintings now at Kenwood have come). For more, see www.english-heritage.org.uk/kenwood. An exhibition of Rembrandt’s works opens at the National Gallery next week – more details then! • It’s a good weekend for a day trip with heritage sites all around the fringes of greater London throwing their doors open this weekend as part of the annual Heritage Open Days event. Among places taking part in this year’s event – which will be followed by Open House London next weekend – are Cleaves Almshouses – established in 1669 and located in Kingston upon Thames, Watford’s oldest building – St Mary’s Church, Lopping Hall in Loughton (so named for the fact it was given to the townspeople in exchange for lopping rights in Epping Forest), and St George’s RAF Chapel of Remembrance at Biggin Hill Airfield in Kent. There are more than 4,500 properties taking part over the weekend, which kicks off today and runs until Sunday, across England. For more information – including full listings of all premises taking part, check out www.heritageopendays.org.uk. • A new display taking at in-depth look at the complexities of supplying soldiers in Afghanistan’s Helmand Province opened at the Imperial War Museum this week. War Story: Supplying Frontline Afghanistan follows the journey from RAF Brize Norton in the UK to Camp Bastion in Afghanistan and then to forward operating bases and patrol bases on the frontline and features photographs, interviews and time lapse footage collected by IWM staff on trips to Afghanistan undertaken last year and this year – the first time IWM teams have visited an active theatre of conflict since World War I. Runs until 27th April. For more, see www.iwm.org.uk. • A blue plaque honouring actor and film director Leslie Howard was unveiled by English Heritage at his former childhood home in Upper Norwood in south London last week. 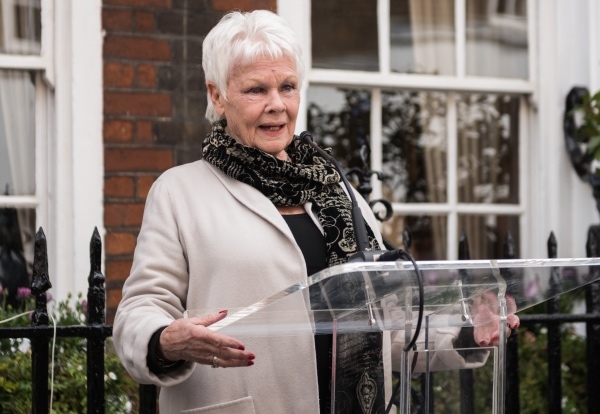 Born in the London suburb of Forest Hill, his family moved to Vienna when was only three-years-old but returned to London five years later and lived at 45 Farquhar Road in Upper Norwood for the next four years before moving to another address nearby. Howard made his West End debut in 1917 – adopting the stage name Leslie Howard in favor of his birth name Leslie Howard Steiner – subsequently appeared on stage and in films including Pygmalion (1938) and Gone with the Wind (1939). He died in 1943 when the plane he was in was shot down by enemy fire over the English Channel. For more, see www.english-heritage.org.uk/discover/blue-plaques/.